The two companies had been linked in talks for weeks, but both said nothing was imminent when rumours first emerged earlier this month. Something seemed to have changed since then, however, as the two companies announced a merger on Monday morning. The deal will see Aurora, which was valued at $4.5 billion on Friday, offer MedReleaf shareholders 3.575 shares in Aurora in exchange for every share in MedReleaf that they hand over. At current market prices, that places the value of MedReleaf at $29.44 per share or $3.2 billion in total — an 18 per cent premium to where the company was valued on Friday. Shares of MedReleaf were slightly higher when markets opened on Monday, while trading in Aurora was basically flat. But MedReleaf shares were still several dollars below the offer price, however — a sign that investors are skeptical that the deal will go through. The combined firm could be worth as much as $7 billion. That's enough to leapfrog Aurora past Canopy Growth Corp. for the top spot. Aurora has grown to become the biggest pure play cannabis company in the world, largely through acquisition. MedReleaf, meanwhile, has grown steadily primarily by focusing on the medical marijuana sector. The boards of both companies have already endorsed the deal, but their shareholders have to give their OK to make it official. MedReleaf's ownership structure is uncharacteristically top heavy as just six people own more than half of all the shares. About 56 per cent of MedReleaf shares have already signed on for the deal, which needs 66 per cent approval to become official. Aurora, meanwhile, is much more widely held, as no one entity owns more than three per cent of all the shares. A simply majority will be needed on that side. If and when shareholders give their OK, the combined company would have nine facilities in Canada and two in Denmark, enough to produce 570,000 kilograms of cannabis per year. The deal comes just weeks before Canada is set to legalize the use of recreational cannabis some time this summer. 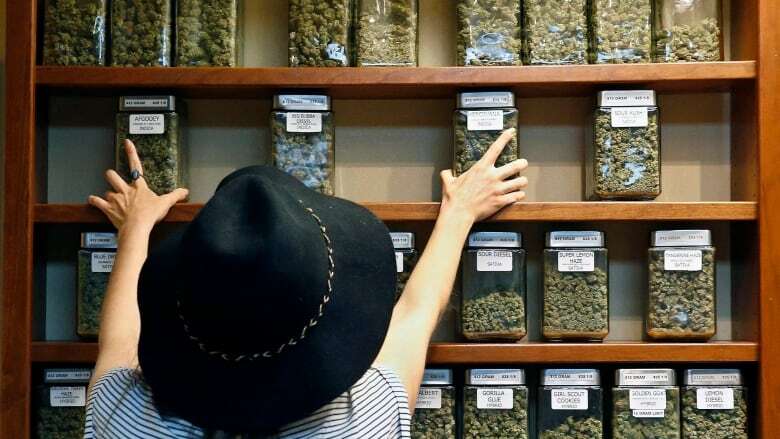 Currently, there are 31 publicly traded cannabis companies scattered across the country, but the industry is going through a wave of consolidation as companies try to streamline themselves to cut costs and improve efficiencies before the floodgates open. "This is a transformational transaction that brings together two pioneering cannabis companies, both committed to high technology, high quality and low cost production, to create a powerful platform for accelerated growth and success on a global scale," Aurora's CEO Terry Booth said of the deal. "Our complementary assets, strategic synergies, and strong market positioning will provide us with critical mass and an excellent product portfolio in preparation for the adult consumer use market in Canada." Lecturer Brad Poulos at the Ted Rogers School of Management at Ryerson University in Toronto says the international possibilities were likely key to the deal. Canada is "a tiny drop in the bucket," he said in an interview, which is why the two companies are linking up now to get first mover advantage elsewhere. The combined entity would have supply and licensing agreements in countries as far afield as Germany, Italy, Brazil and Australia. "It's about getting access to the global market and they will be the first ones to do it," he said. MedReleaf's experience with medical marijuana could be just what the doctor ordered for Aurora on the quality side, too, he said. "MedReleaf wins a lot of awards for their cannabis," he said. "It gives Aurora access to some high quality cannabis and to complete globally you're going to be having to produce very high quality product."